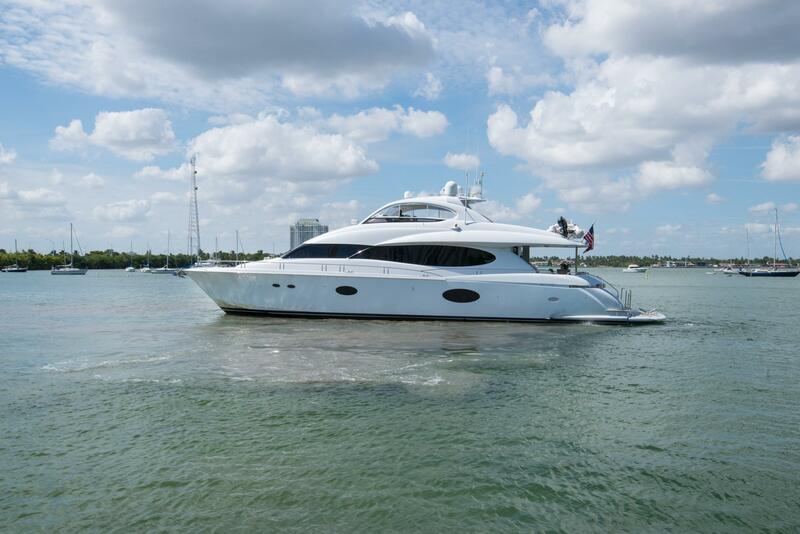 2007 Lazzara 84' Open Bridge Hard Top "CHIP"
The 2007 LAZZARA 84’ OPEN BRIDGE MOTOR YACHT CHIP is a highly-customized 84’. 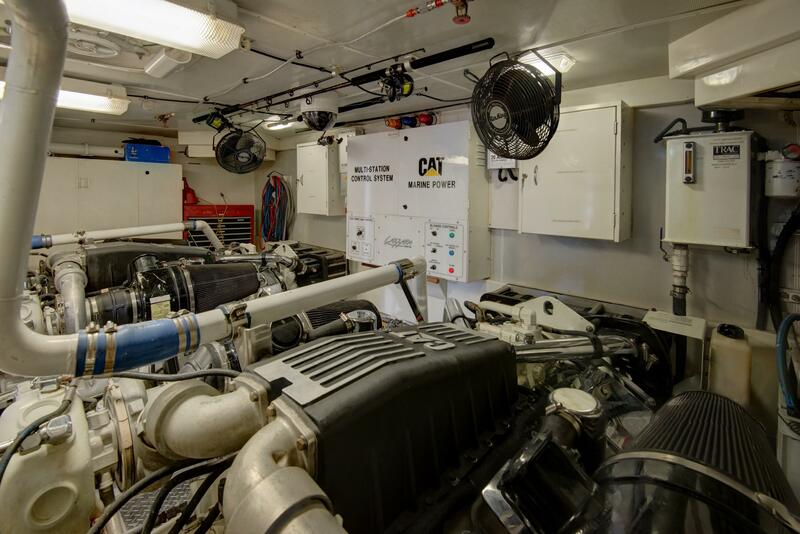 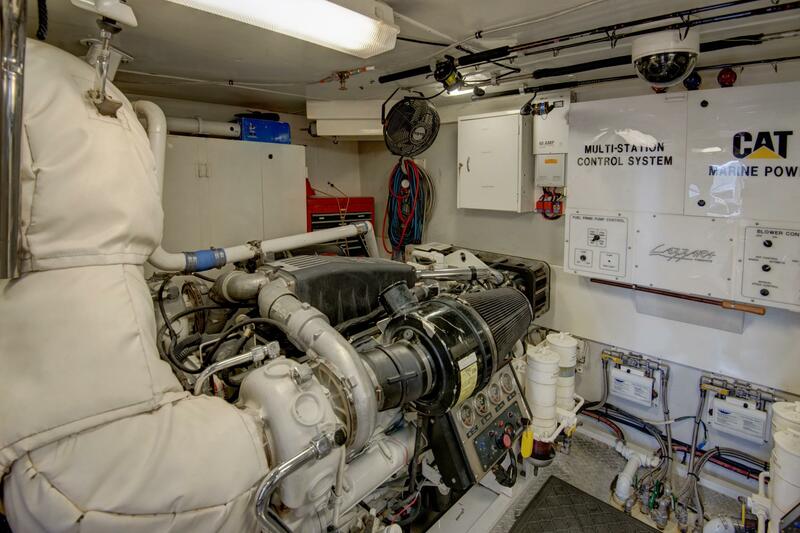 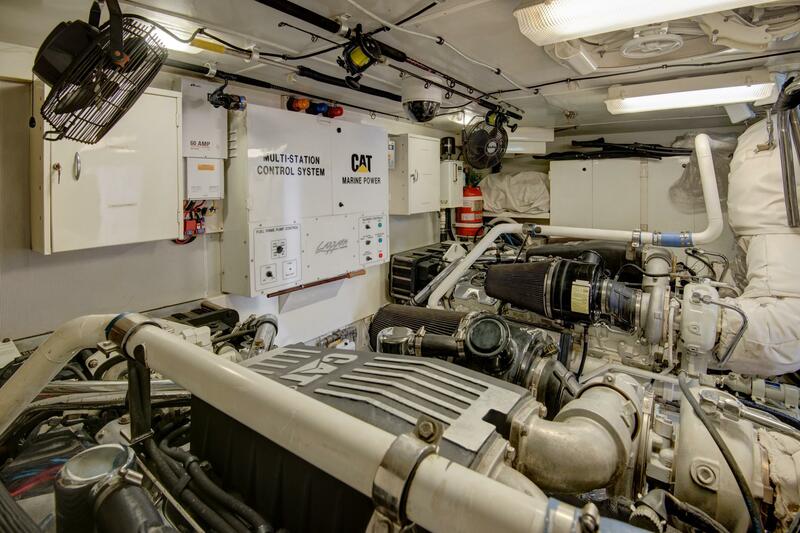 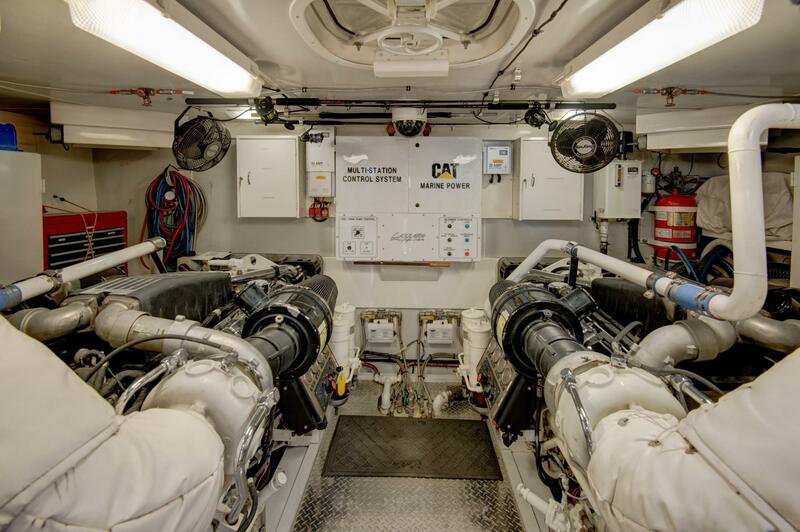 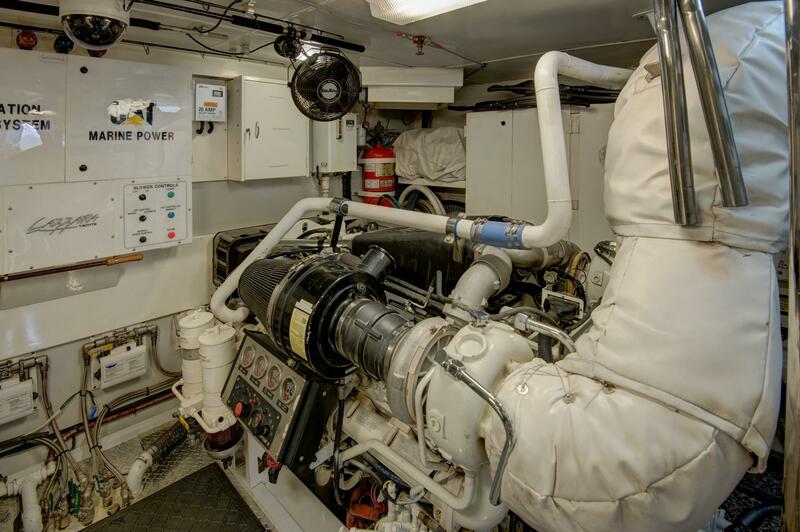 CHIP recently had engines rebuilt and has a 3-year warranty that covers the CAT engines (paperwork available upon request). 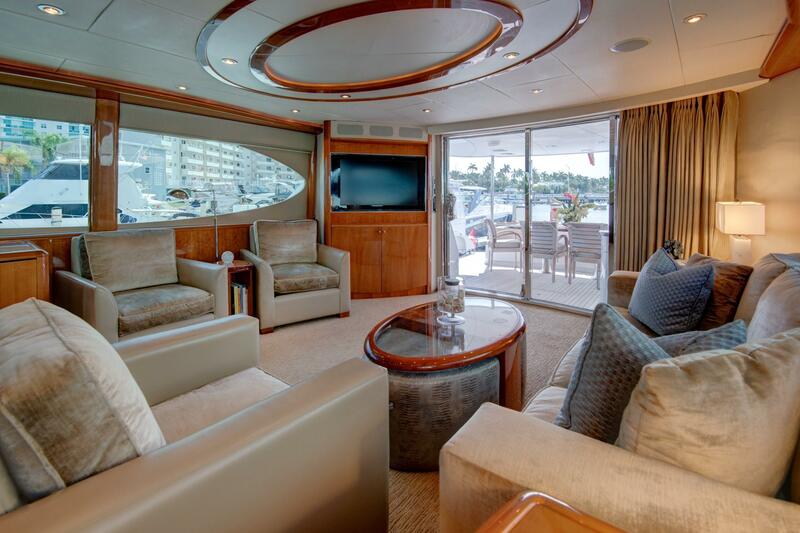 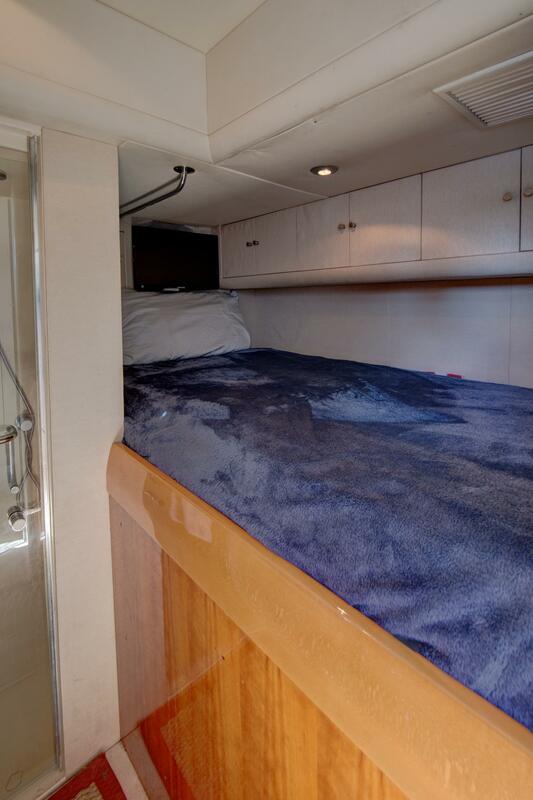 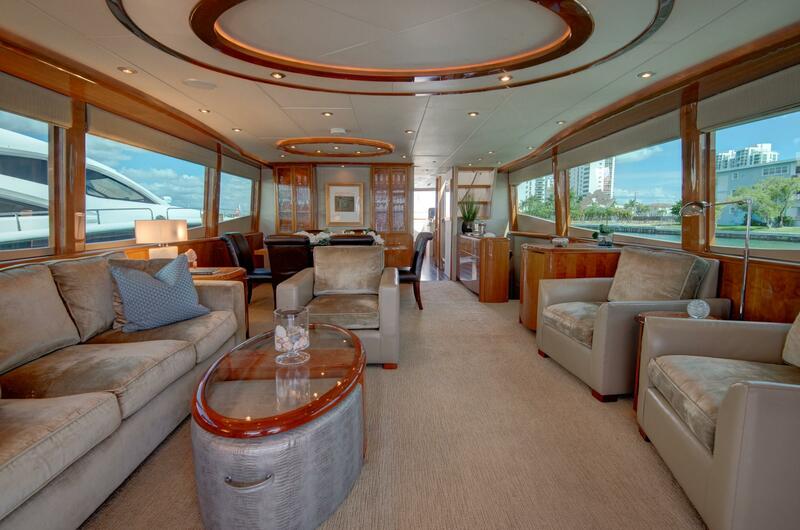 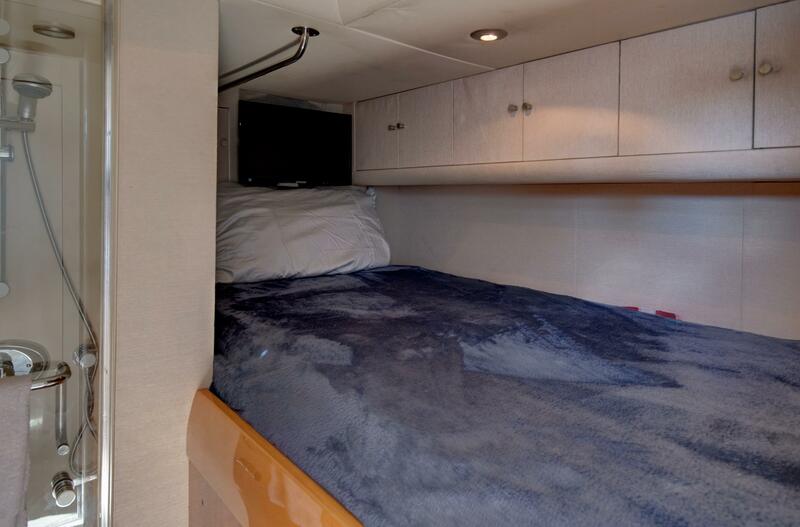 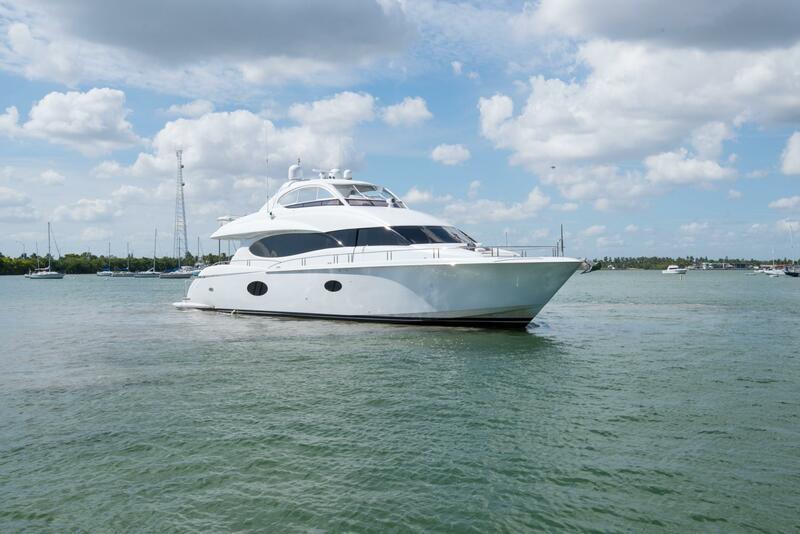 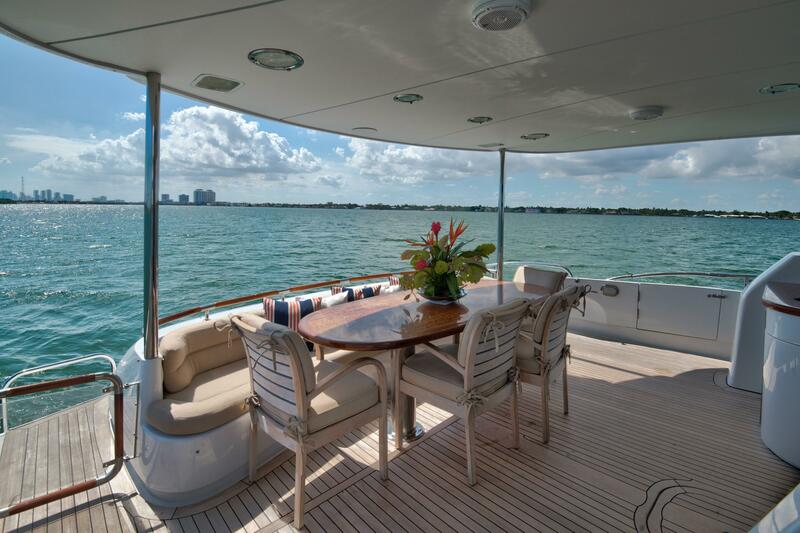 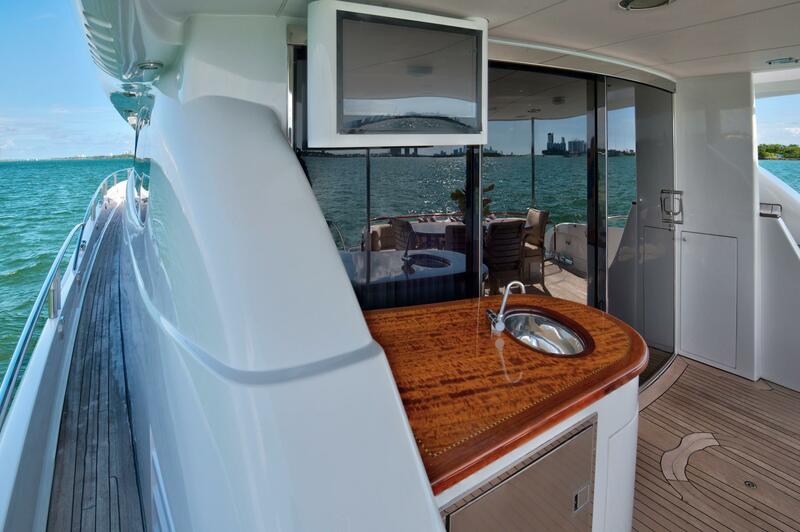 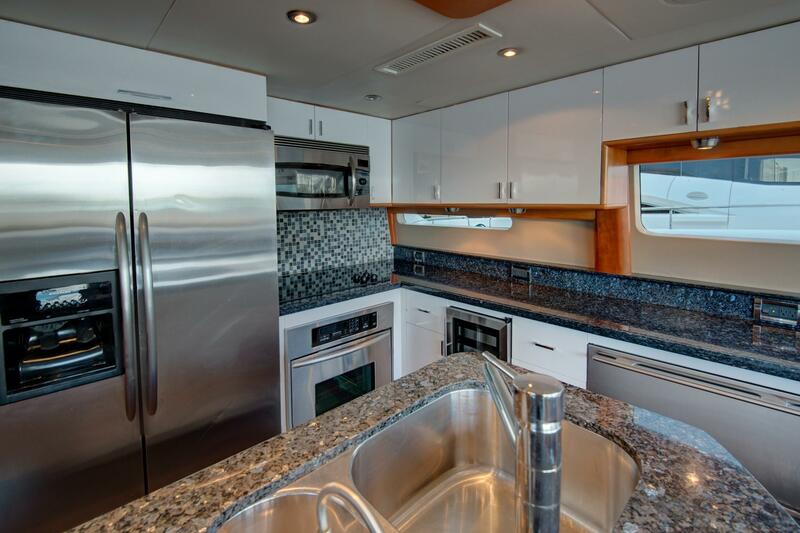 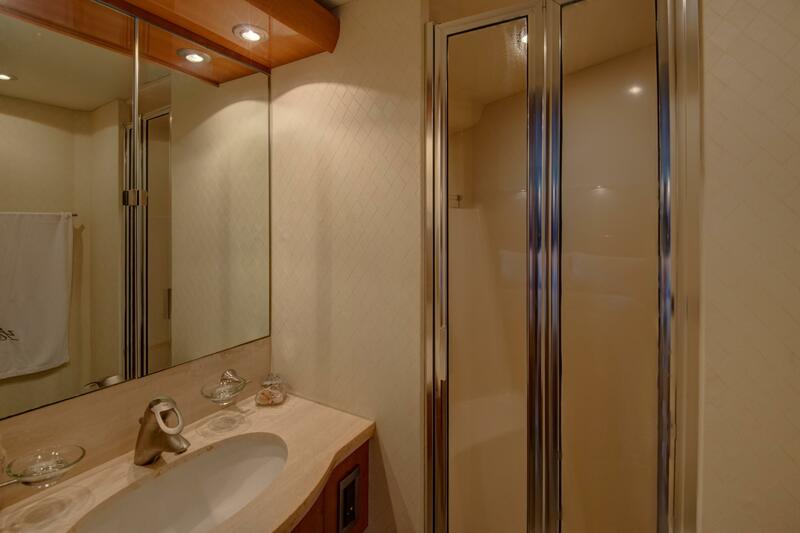 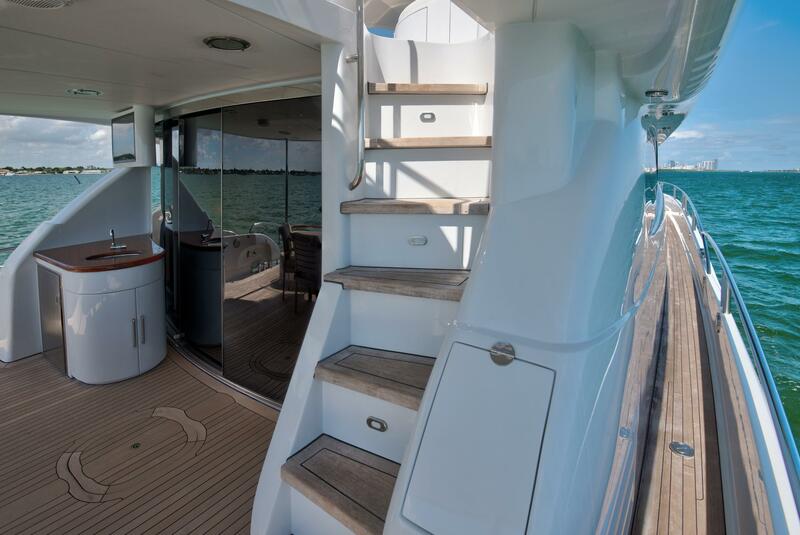 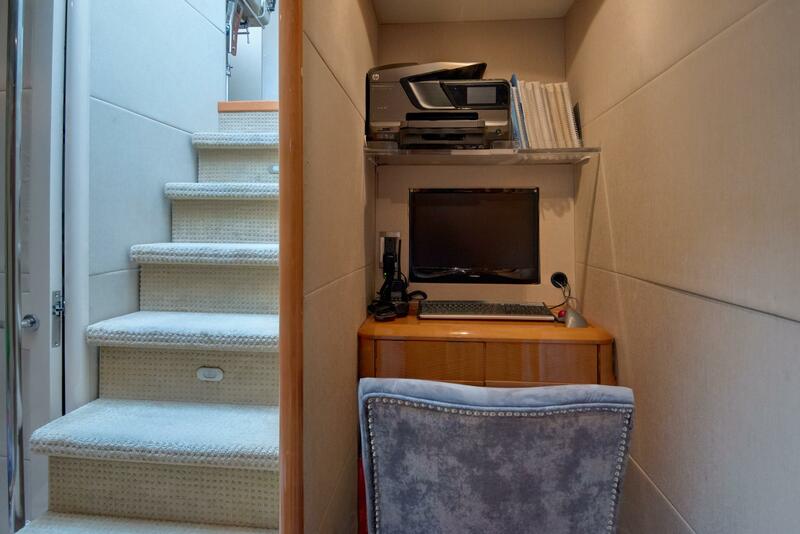 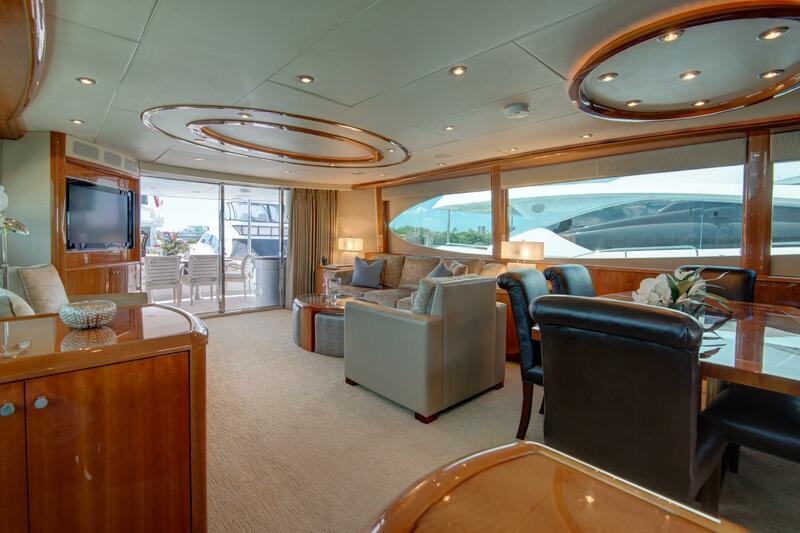 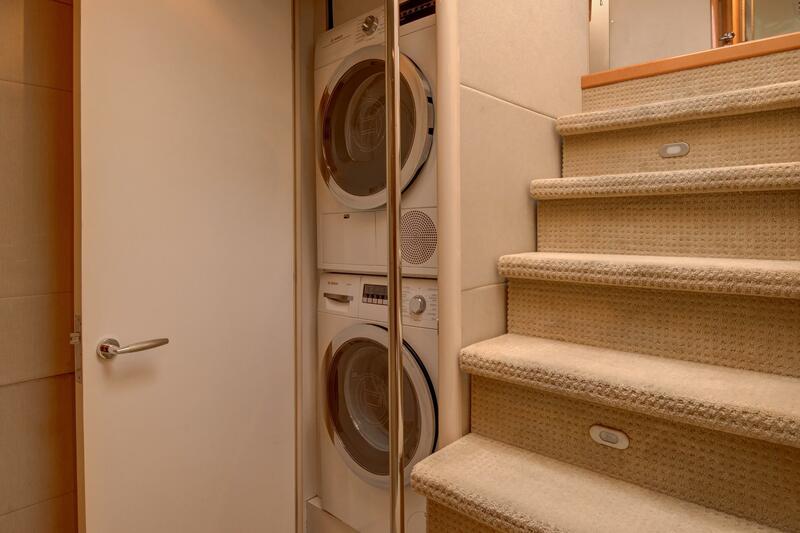 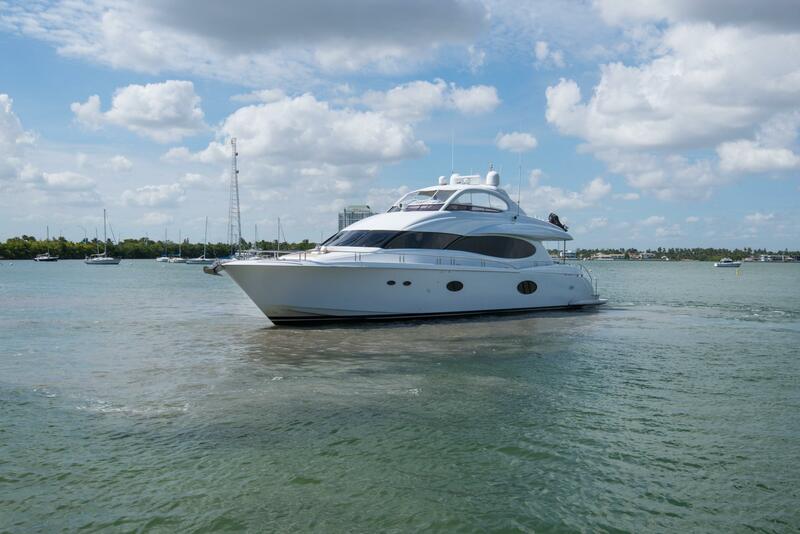 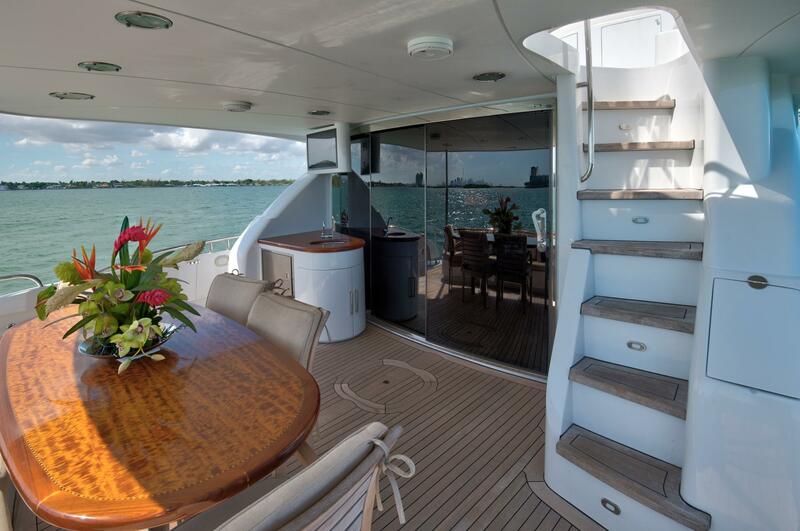 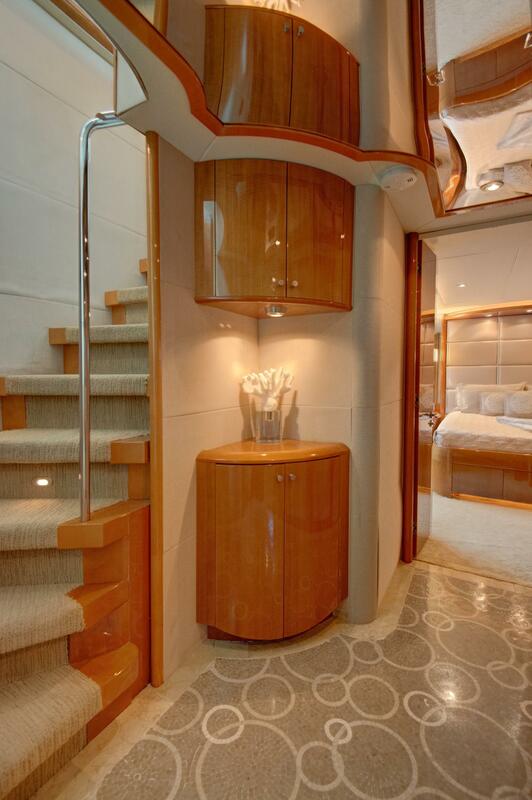 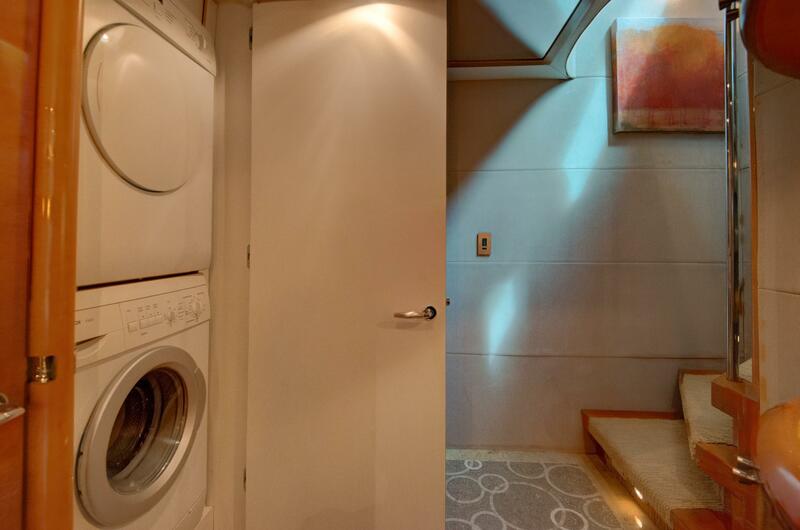 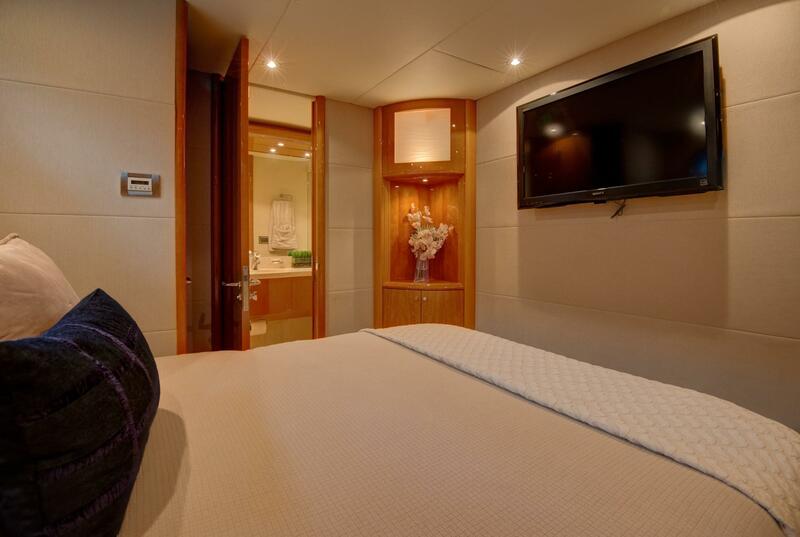 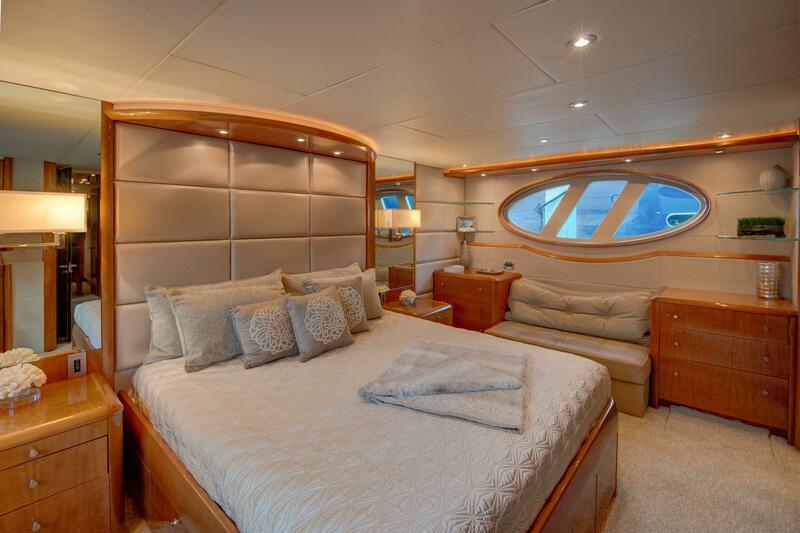 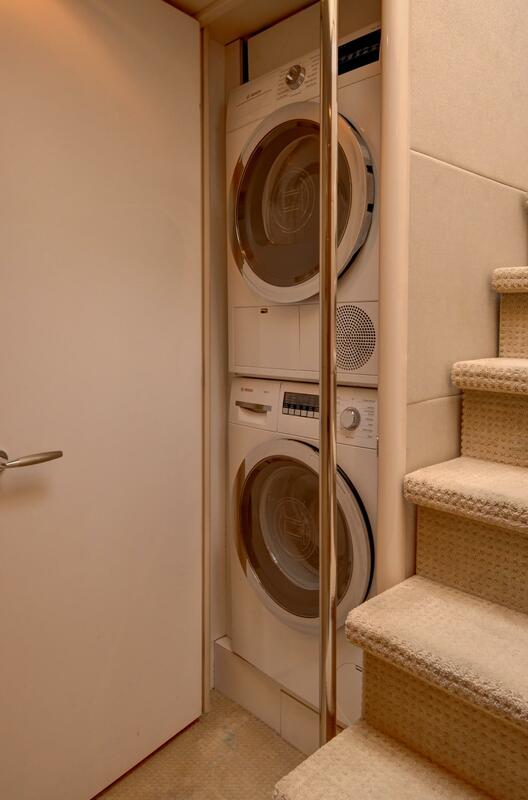 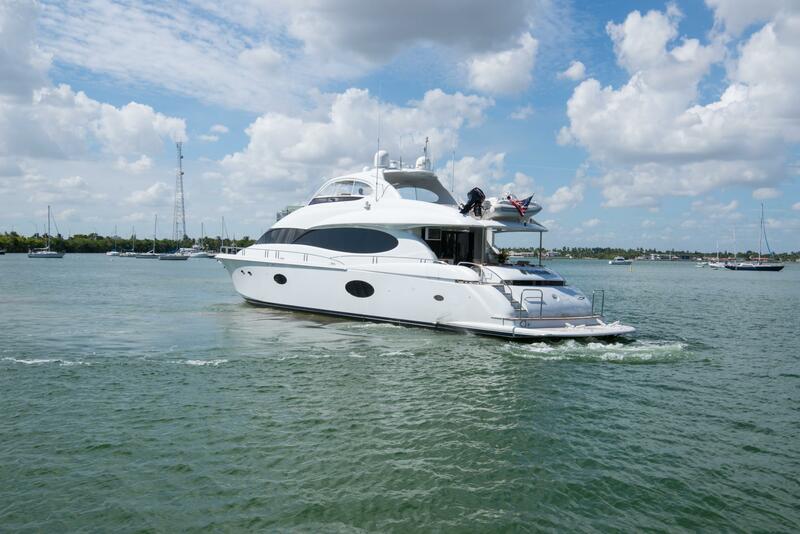 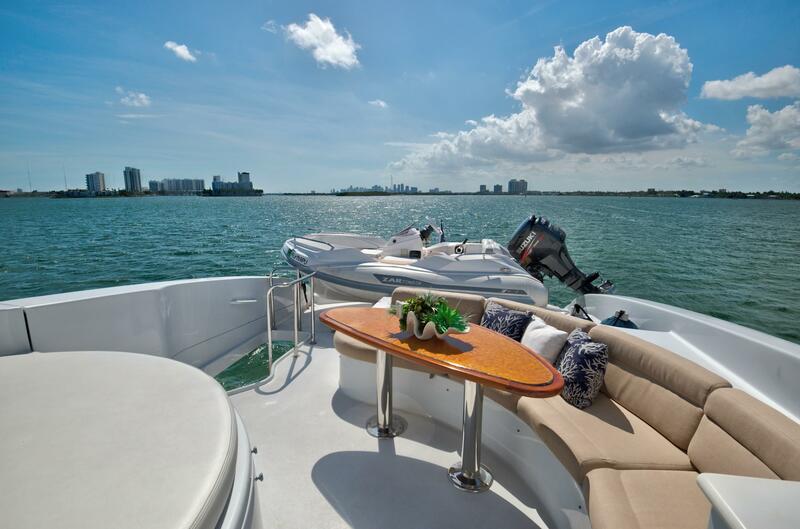 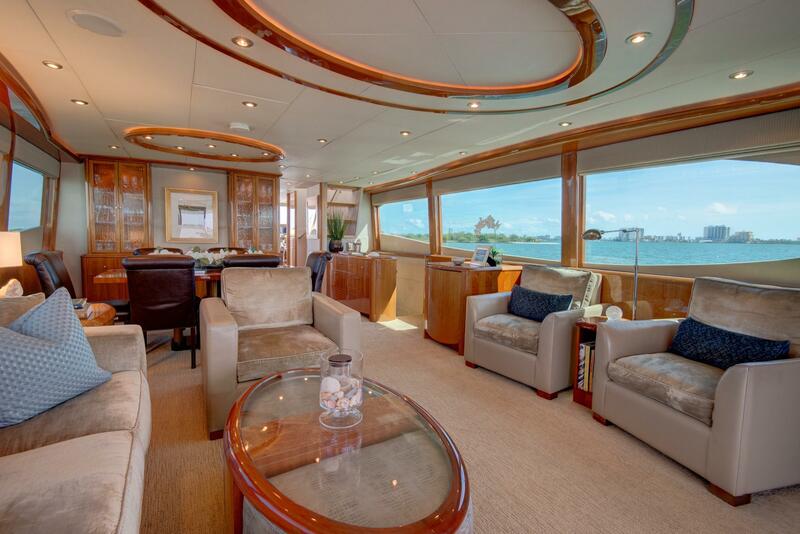 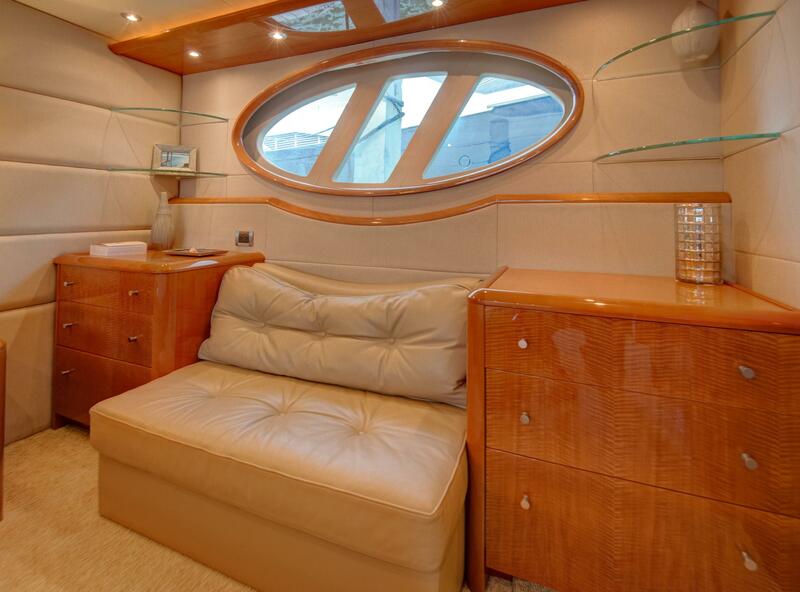 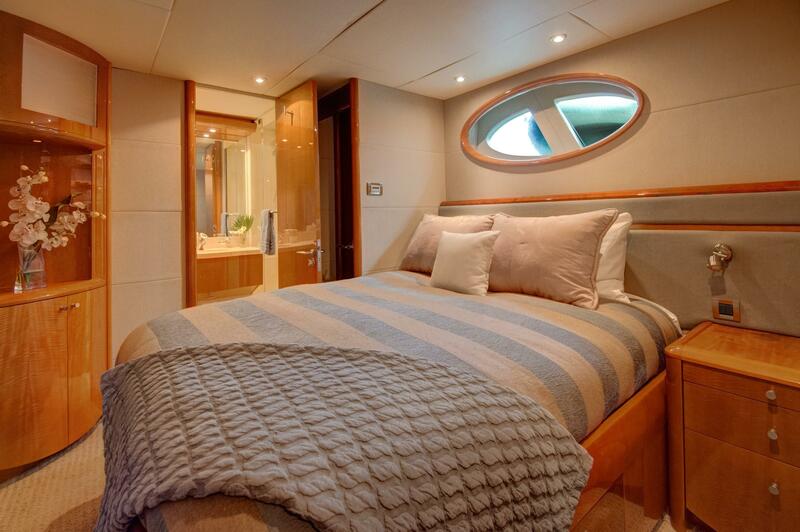 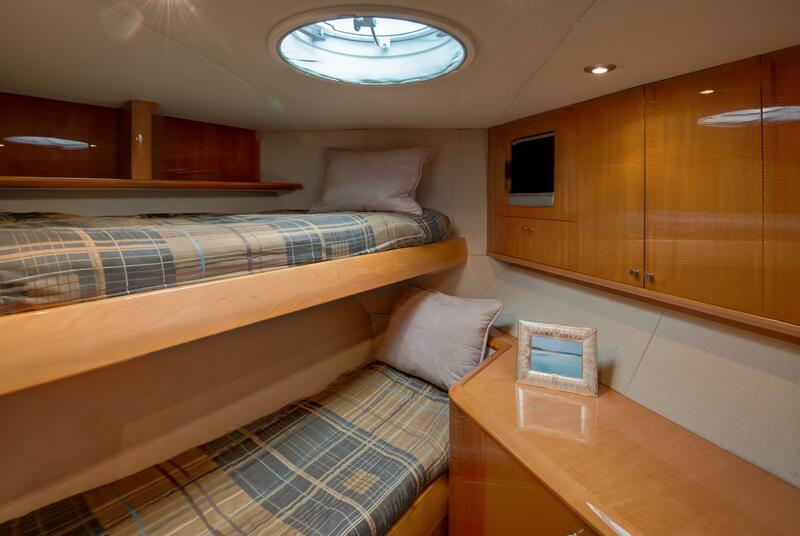 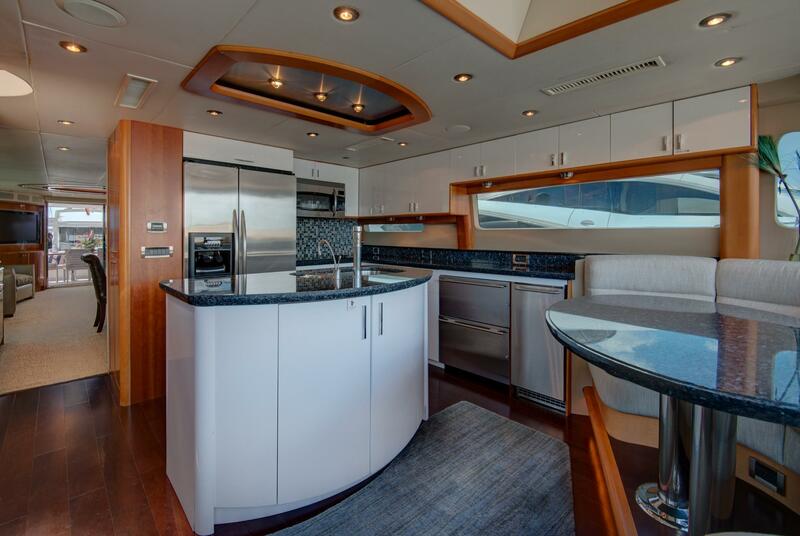 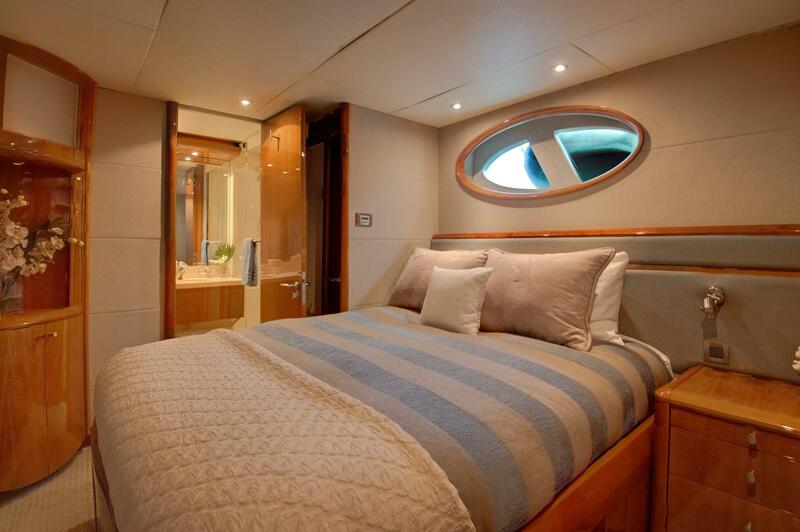 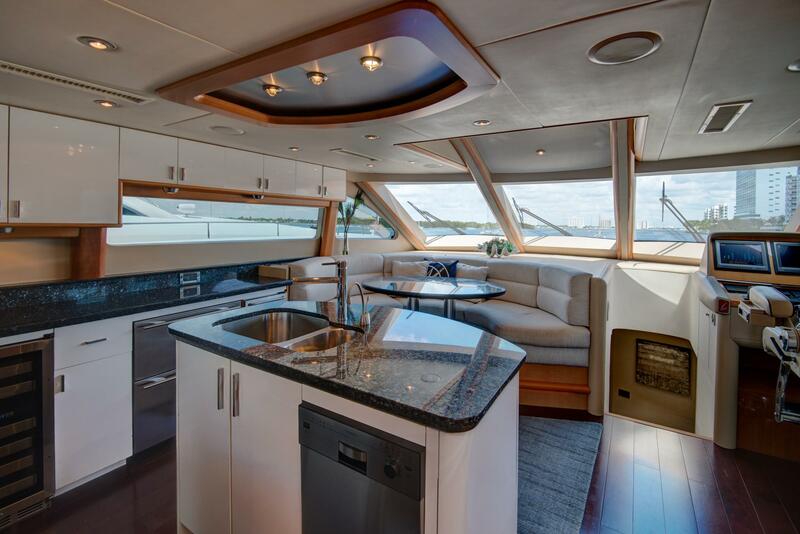 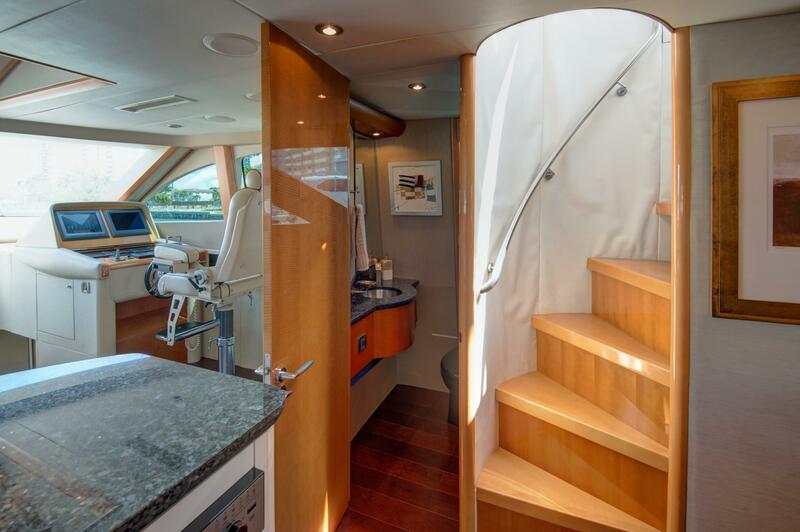 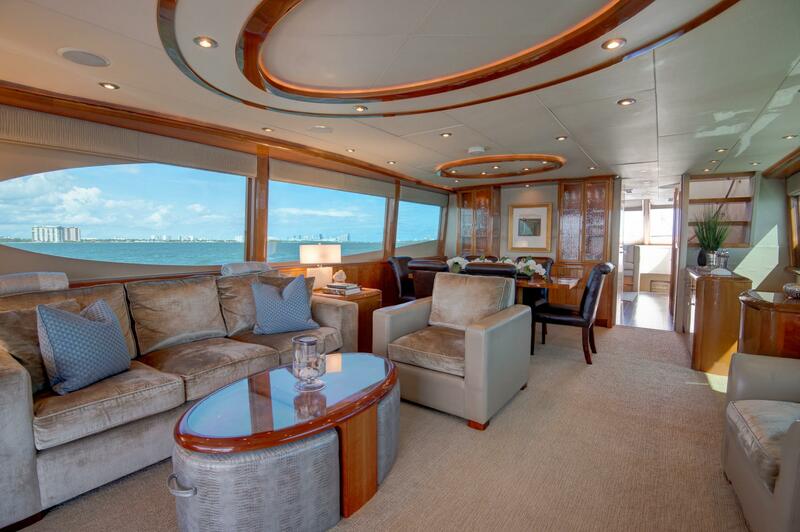 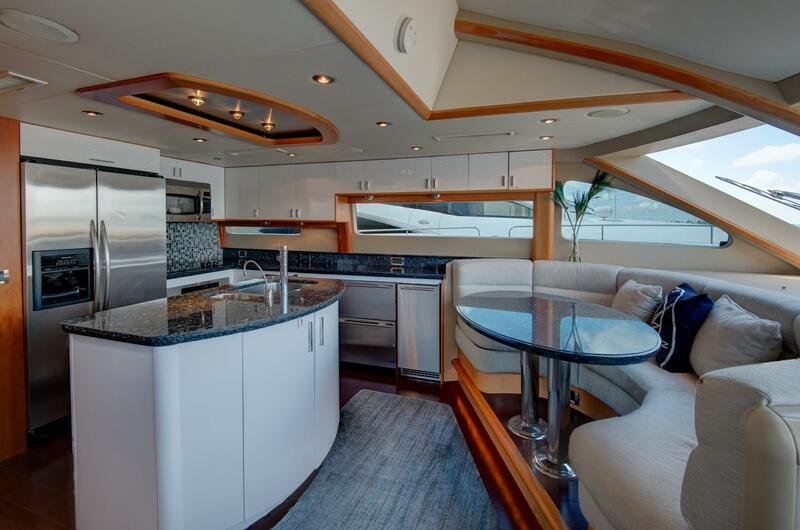 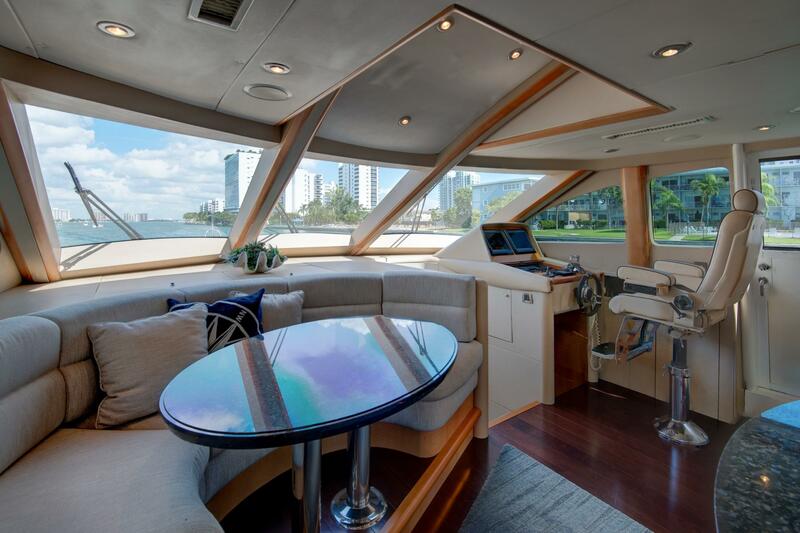 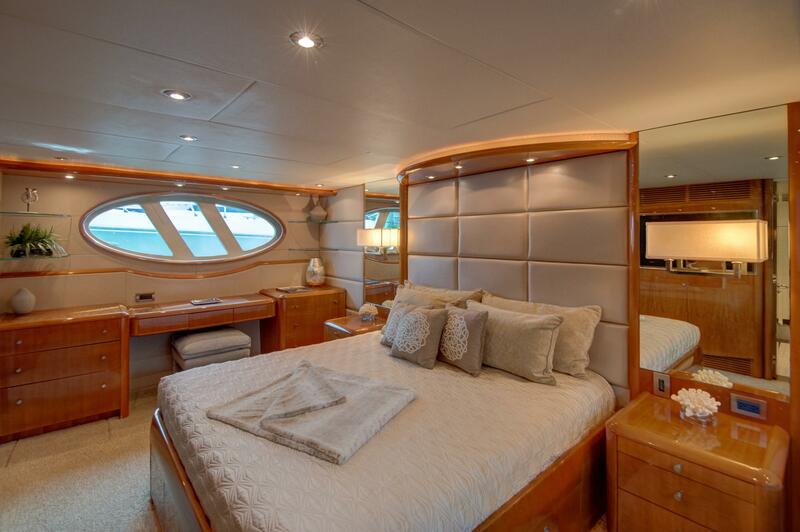 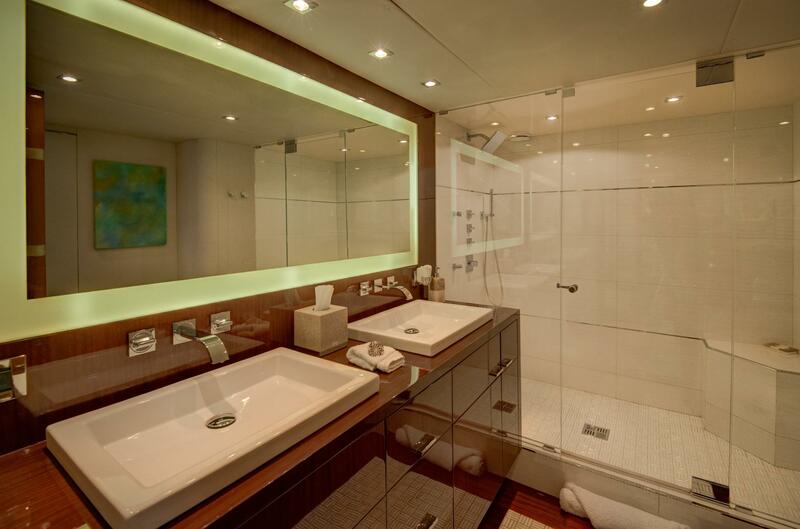 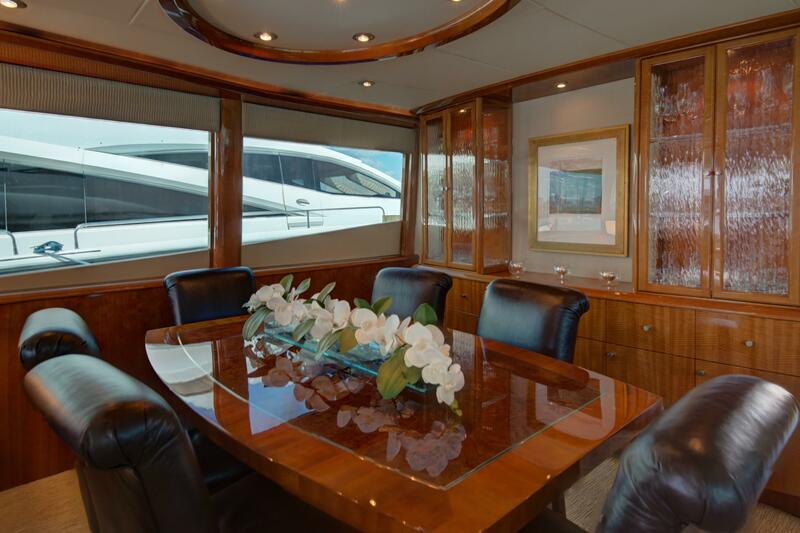 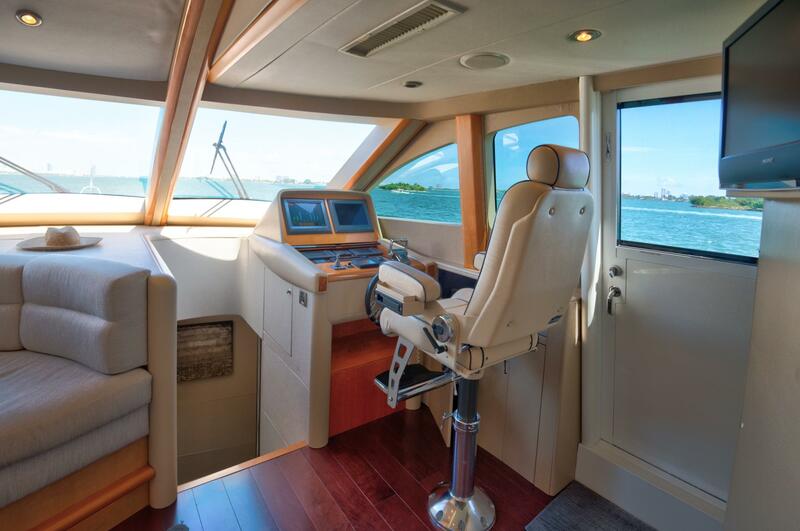 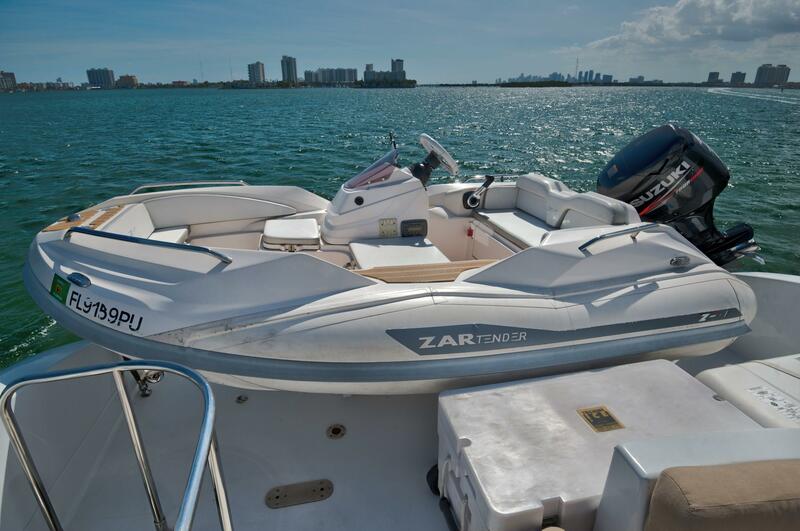 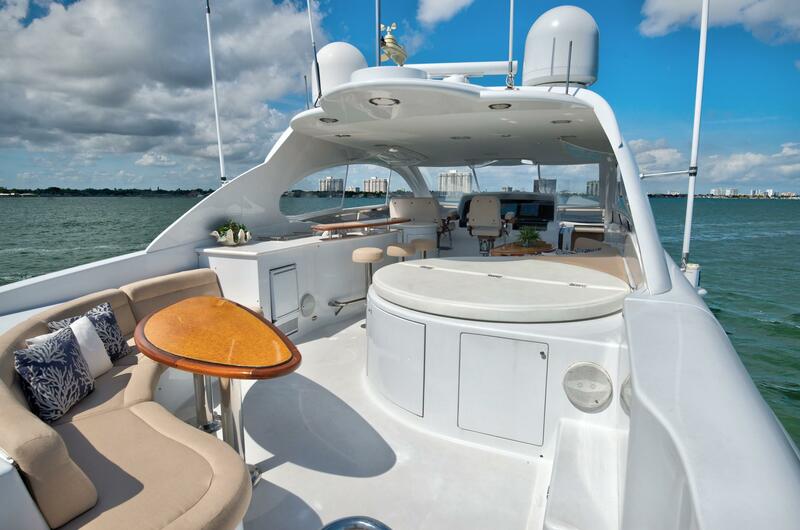 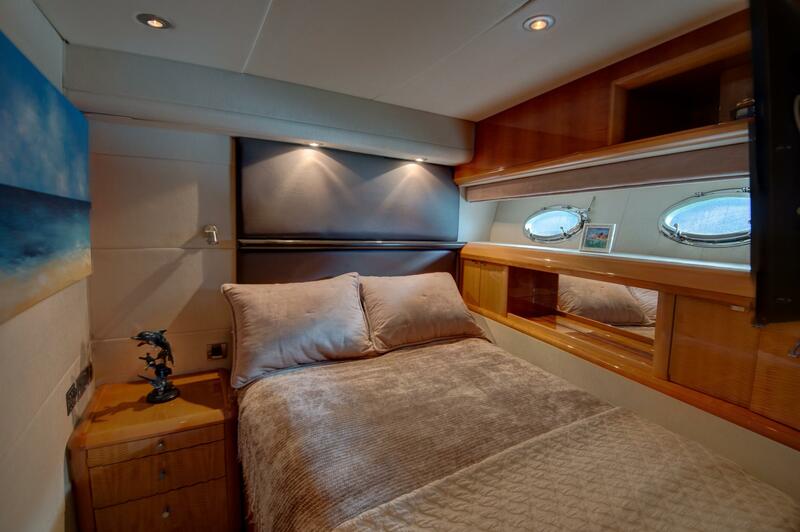 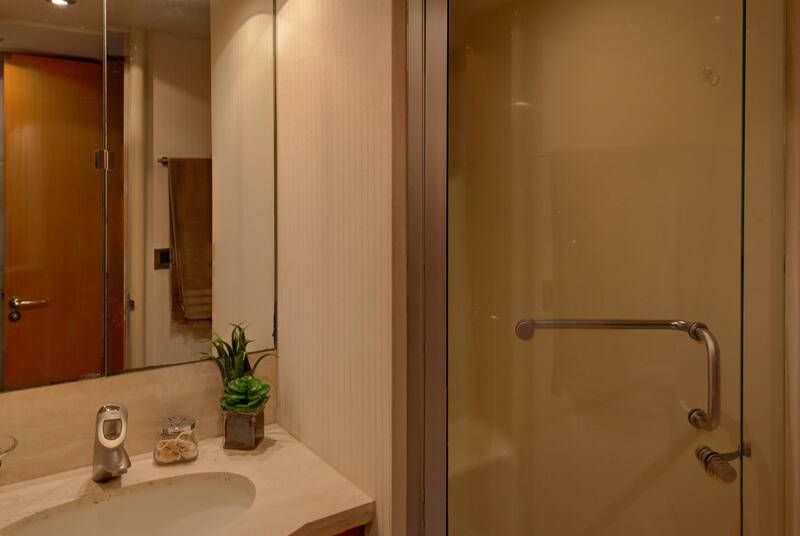 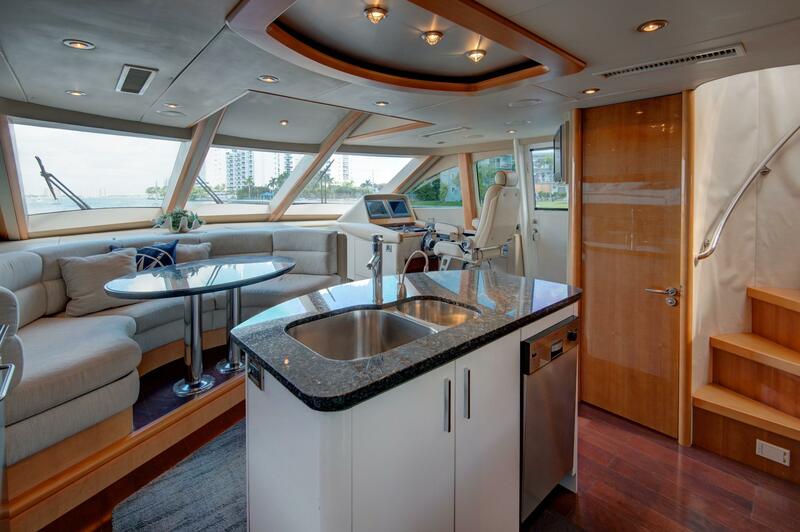 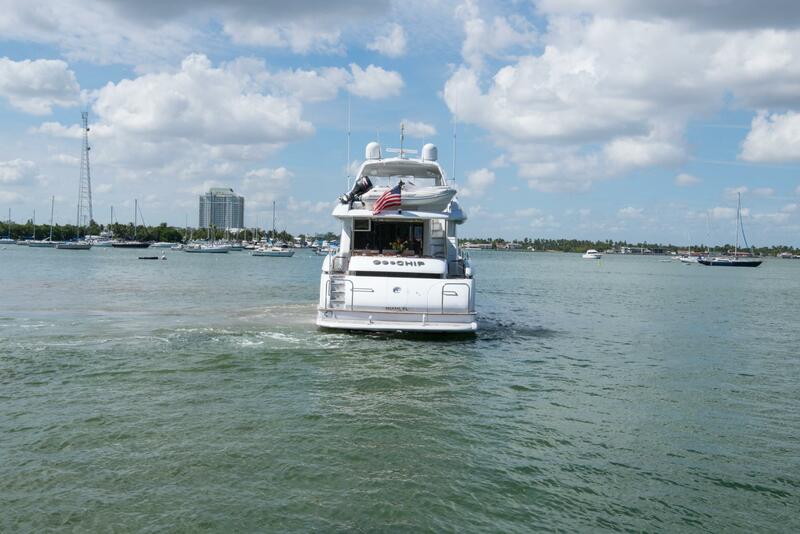 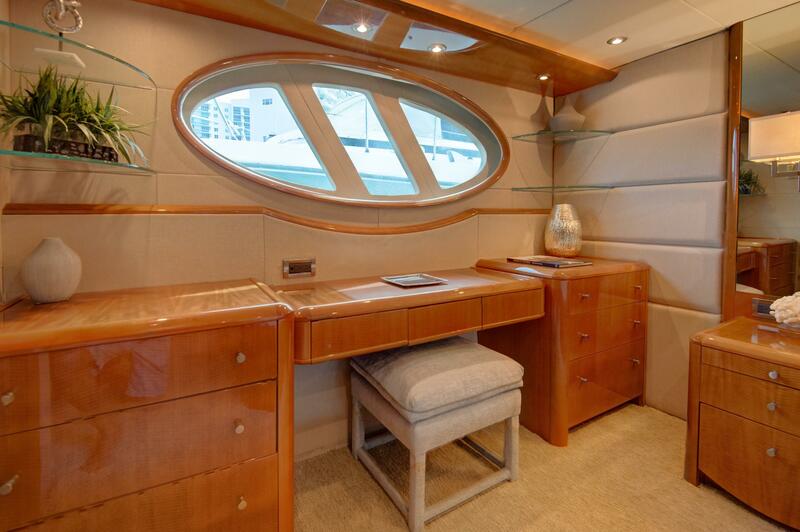 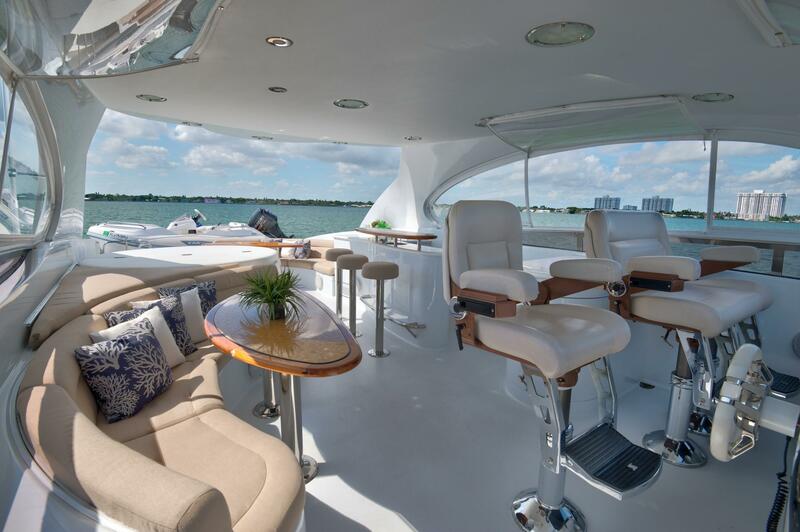 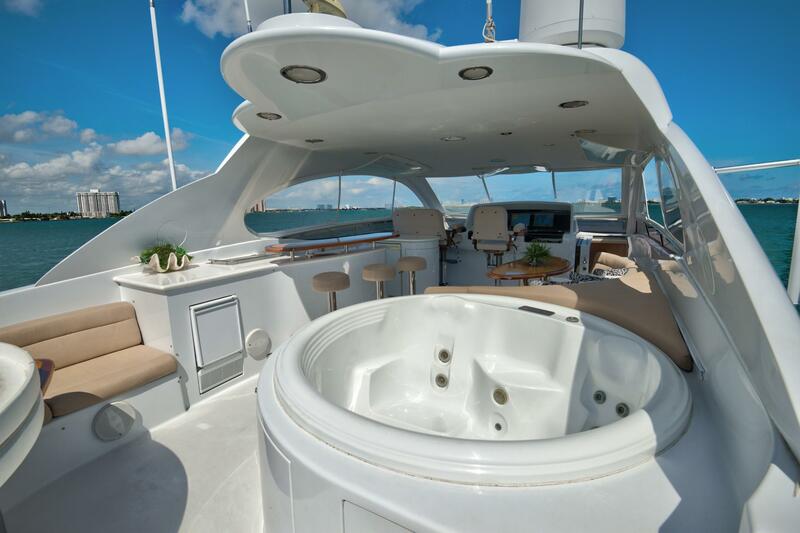 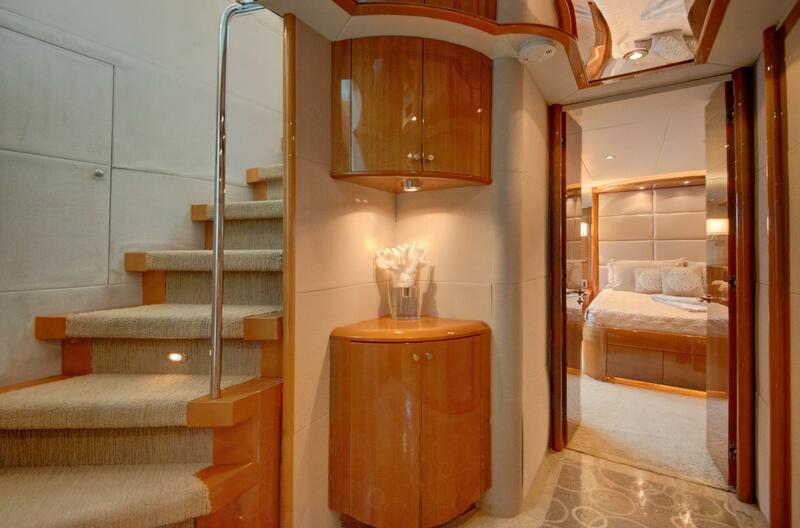 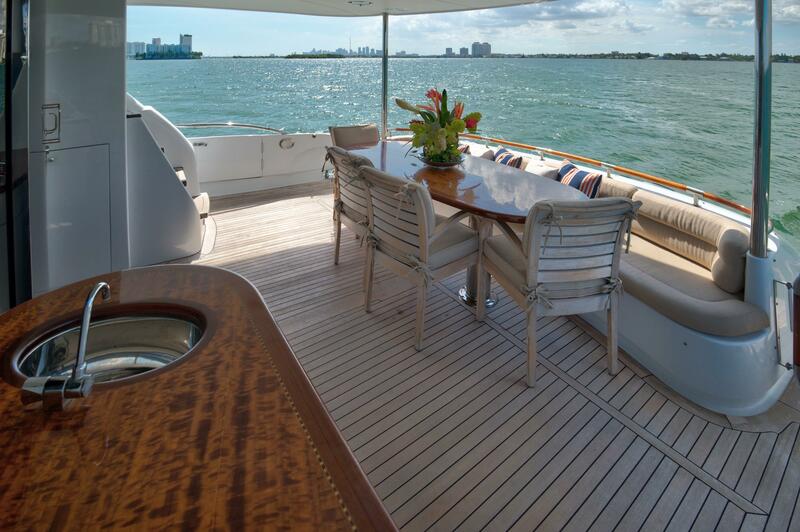 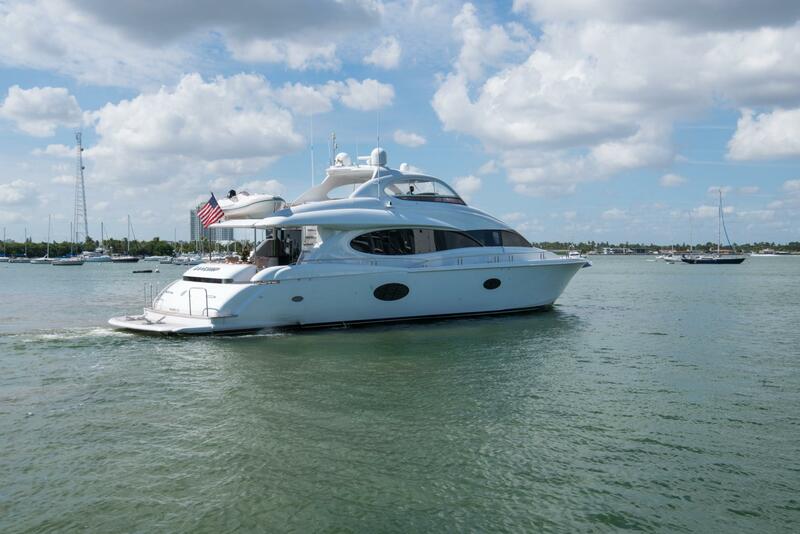 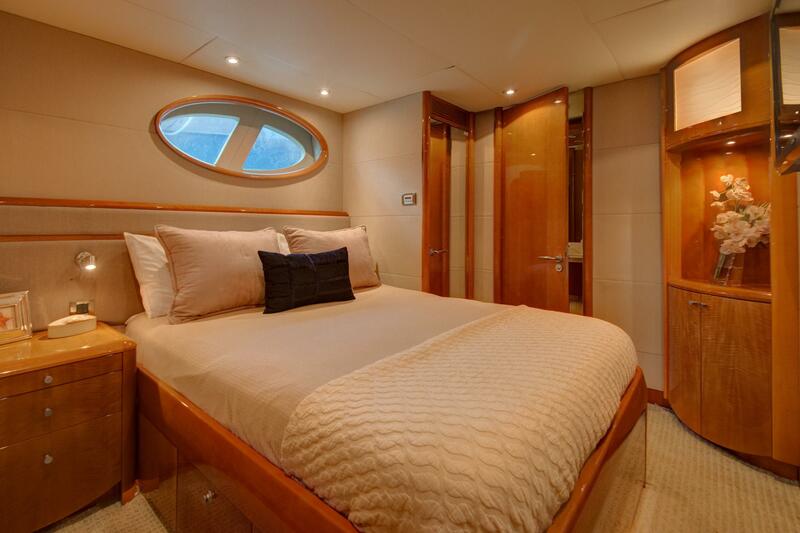 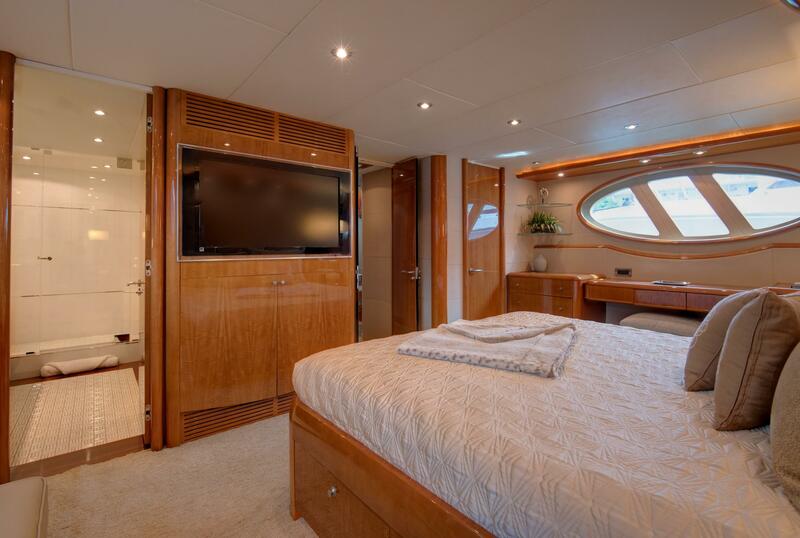 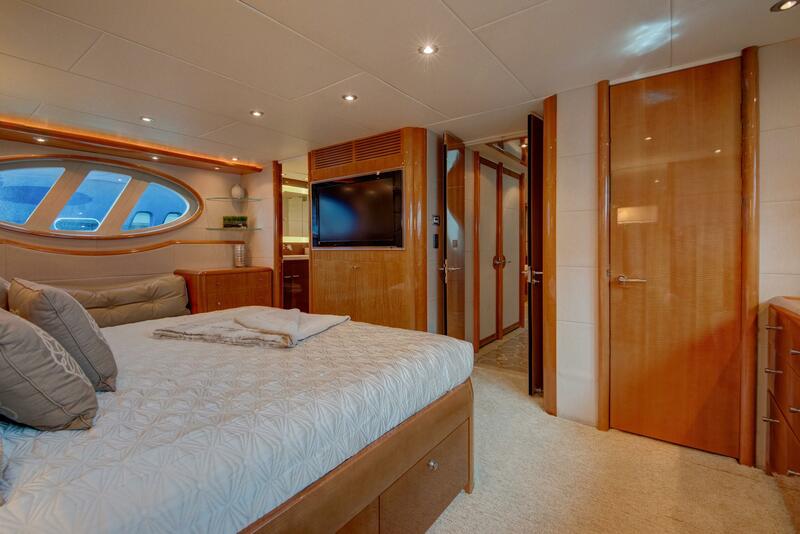 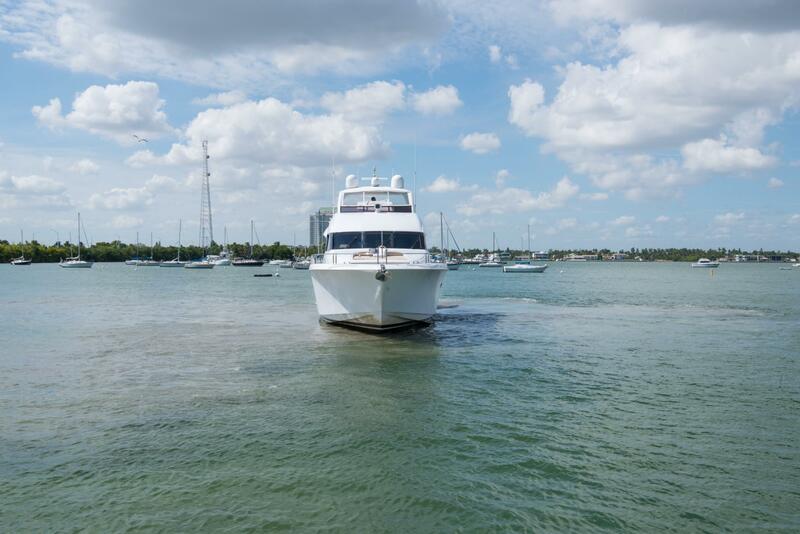 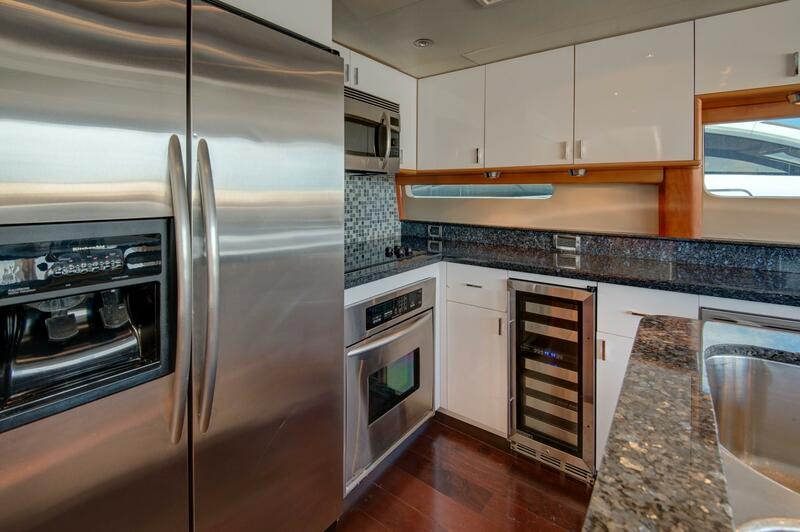 This LAZZARA 84’ OPEN BRIDGE has a 5-stateroom layout with an additional crew quarter located aft through the transom. 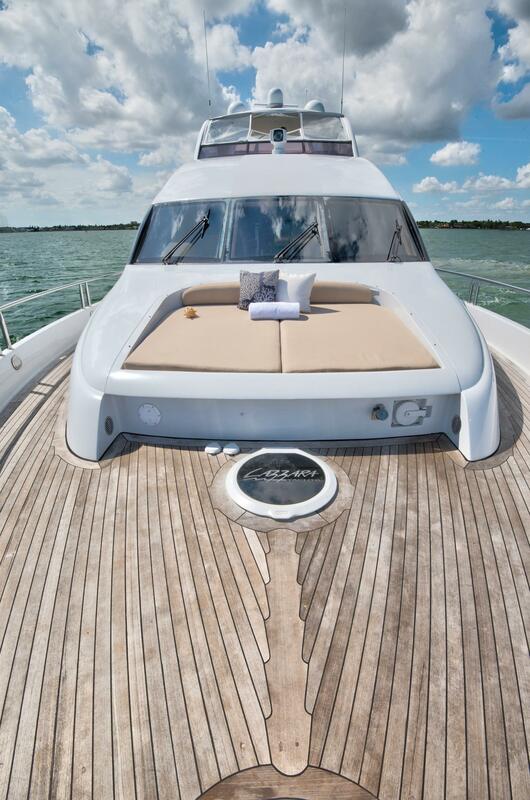 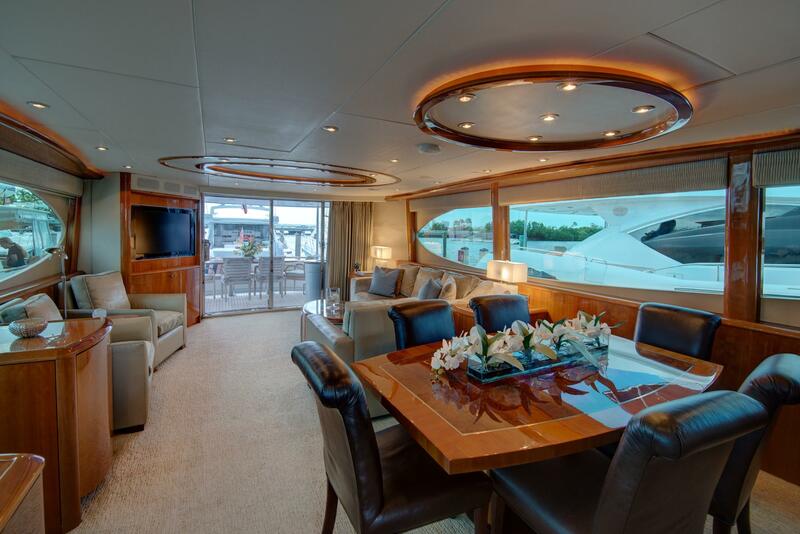 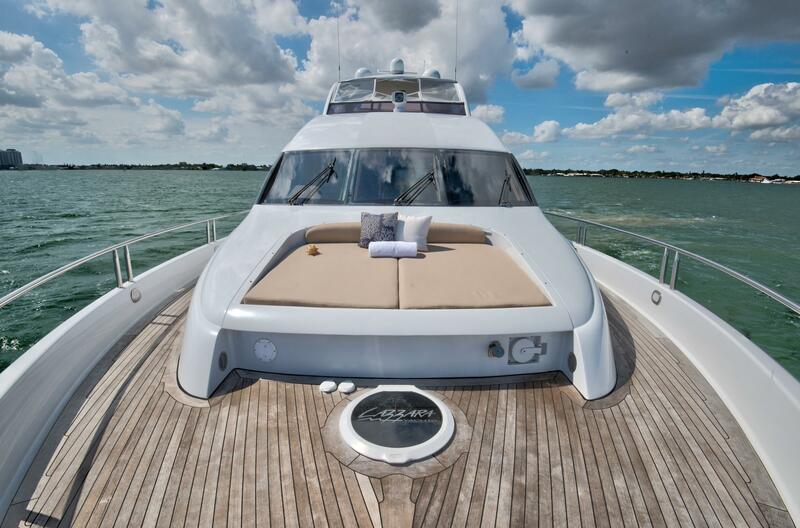 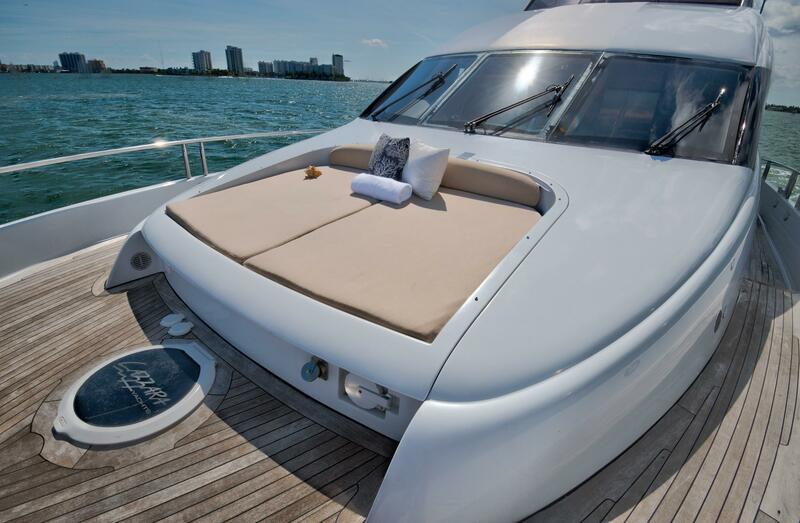 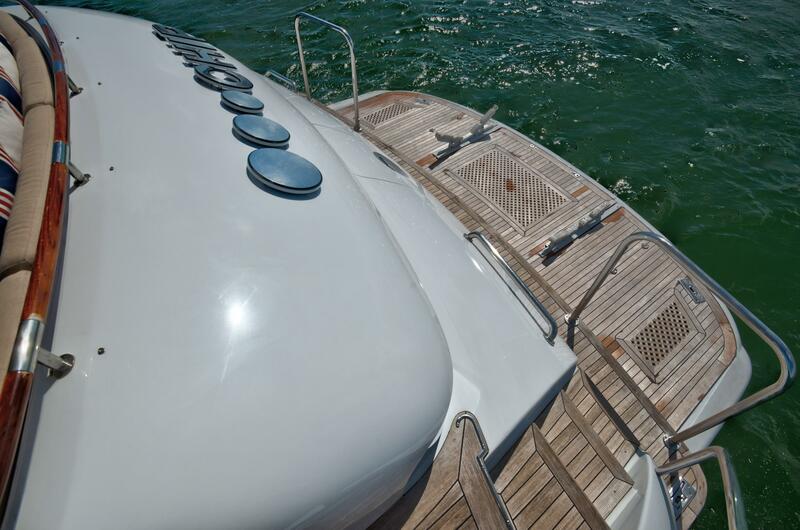 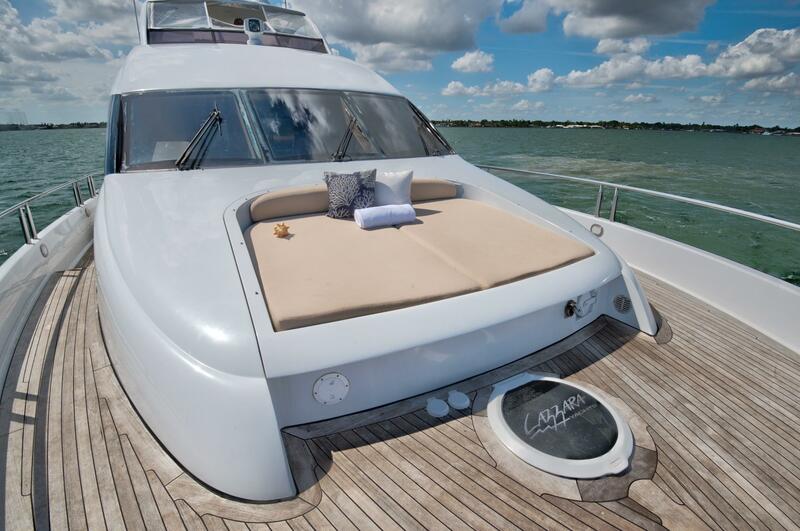 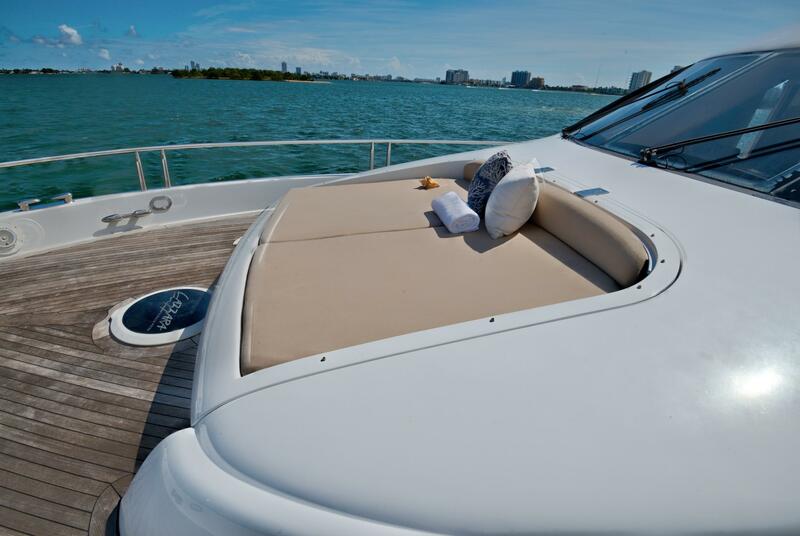 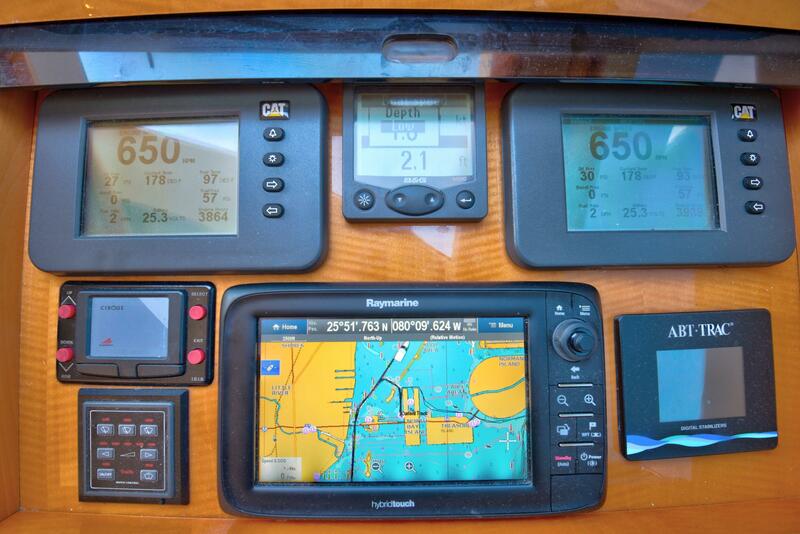 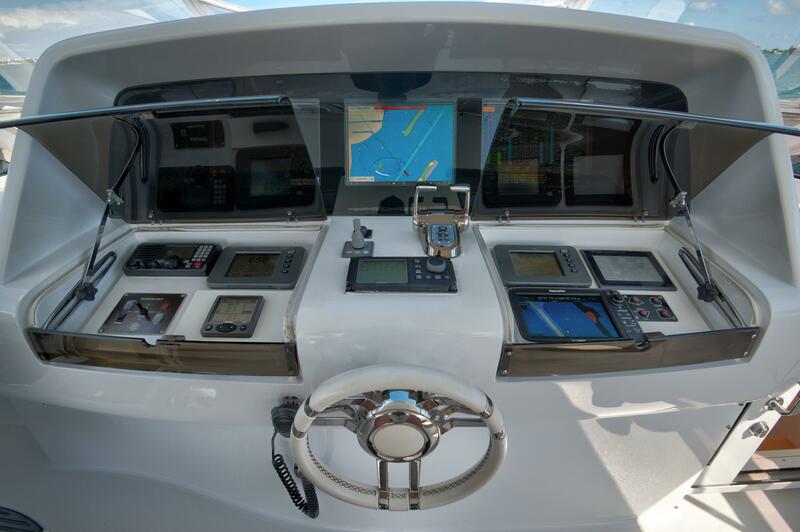 CHIP is a must see with her custom master head layout unlike any other LAZZARA 84’ built. 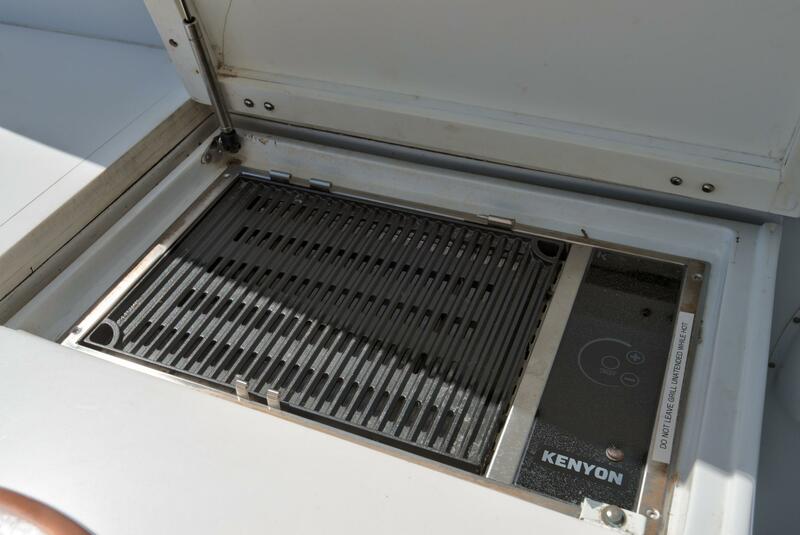 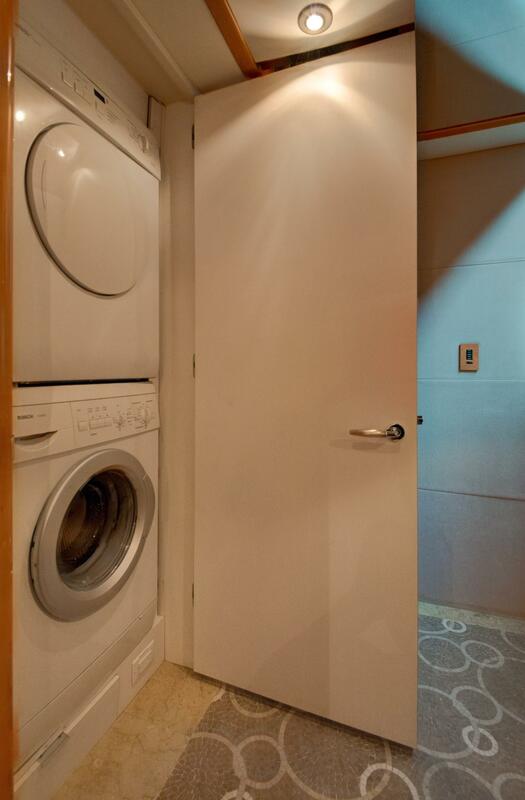 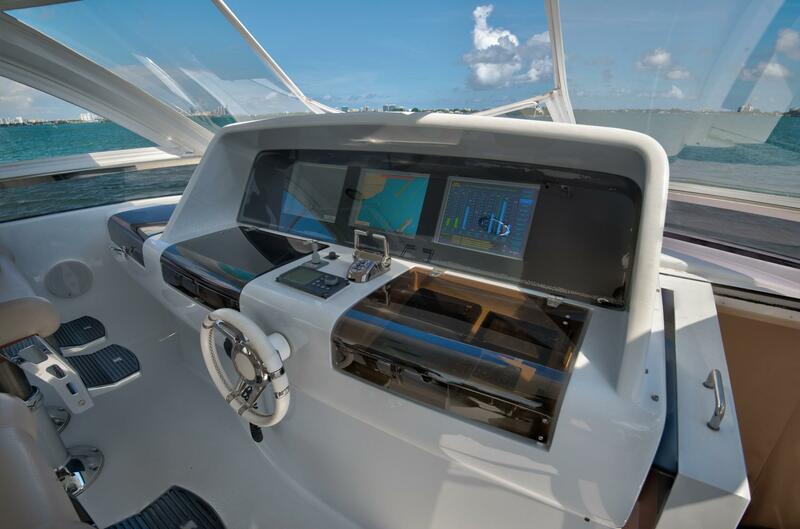 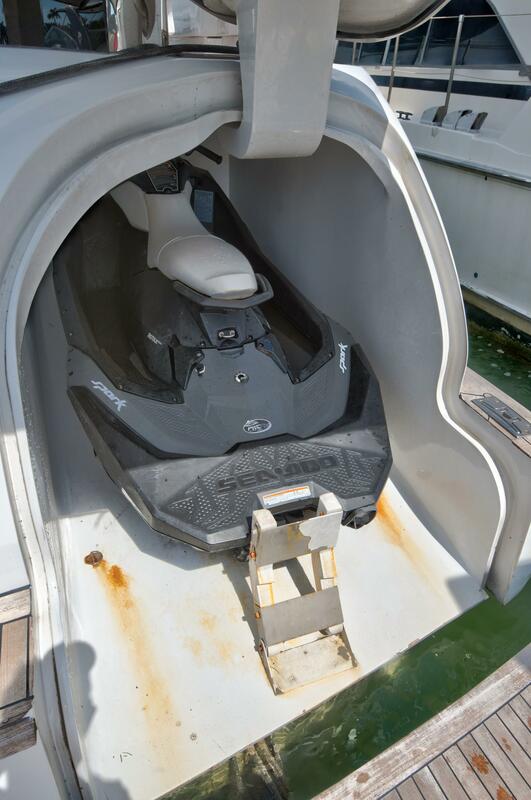 She has integrated the jet ski pod on the starboard side to store the jet ski which the Lazzara models are known for. 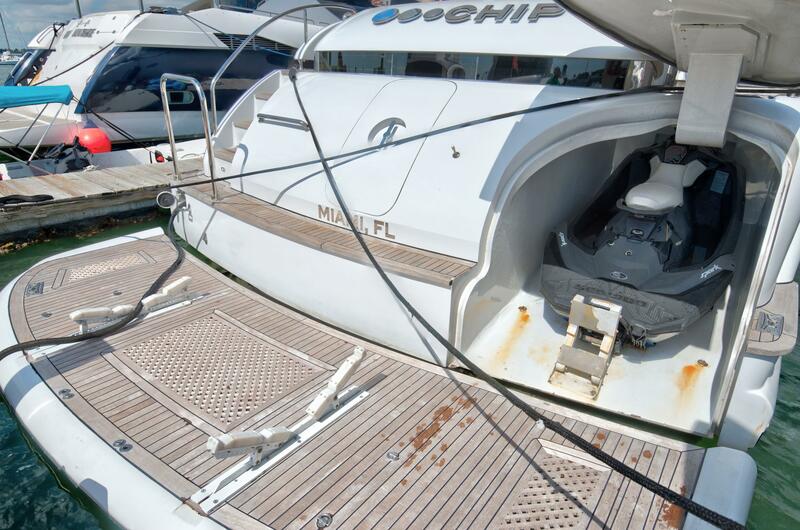 CHIP is entirely painted, and her finish is excellent! 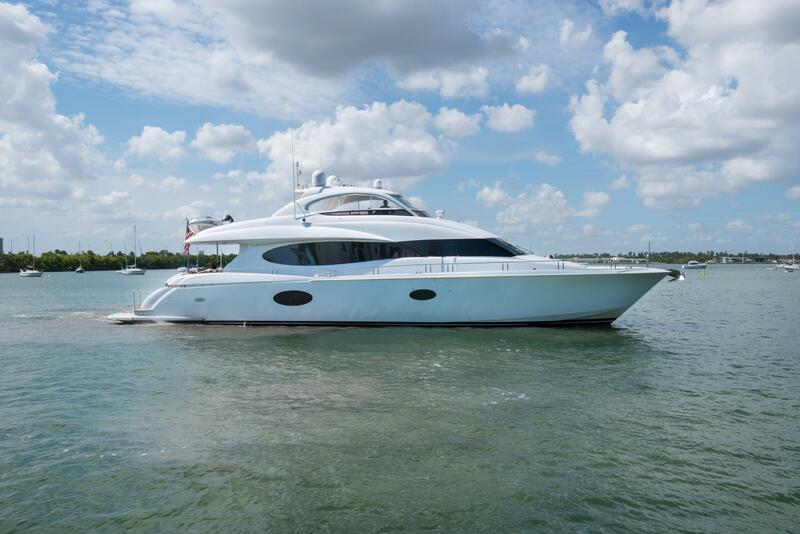 The 2007 LAZZARA 84’ OPEN BRIDGE MOTOR YACHT CHIP is a must see.